Australia’s anti-submarine Future Frigates will use South Australian technology to shoot down long-range missiles as part of the government's efforts to counter threats from rogue states. 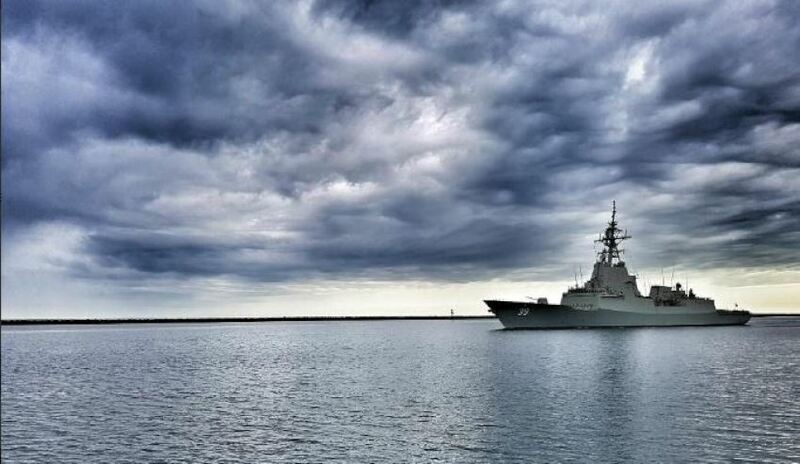 Adelaide-based Saab Australia will partner with Lockheed Martin Australia to provide an Australian tactical interface for the Aegis combat management system on the nine vessels that will begin construction in Adelaide in 2020. Minister for Defence Marise Payne said as rogue states continue to develop missiles with advanced range speed, this decision will maximise the Future Frigate’s air warfare capabilities and enable these ships to engage missiles at long range. The PM and Defence Minister also revealed the SAAB Australia combat management system will also be used on other Australian vessels. "This includes mandating a SAAB Australia combat management system on the upcoming Offshore Patrol Vessels, which will be built in Australia from 2018, and an Australian tactical interface developed by SAAB Australia for the Hobart Class Air Warfare Destroyers when their Aegis combat management system is upgraded in the future, consistent with the 2016 Defence White Paper," the statement said. South Australian senator Nick Xenophon congratulated SAAB Australia on the news, which will see Adelaide jobs supported. "The approach taken by government will provide our sailors with a high-end sovereign combat system capability whilst also maximising Australian jobs," Xenophon said. "Additionally, the decision will serve as a strong signal of Australian government confidence in the system, an important factor when SAAB Australia attempts to sell the system into foreign shipbuilding programs." SAAB Australia is hoping Canada will adopt the 9LV system for its own future frigate program, a decision that would see more Australians employed by SAAB in Adelaide. However, Xenophon said there was a sour note to this piece of good news. "This important decision supporting Australian industry unfortunately contrasts strongly with the scandal unfolding over Defence's decision to specifically exclude Australian owned shipyards from taking a lead role in the Navy’s $35 billion Future Frigates program," he said. "Leaked Defence Department tender documents have revealed Australian shipyards – ASC and Austal – were specifically excluded from being the prime contractors. Instead, the management and supervision of the program would go to either a British, Italian or Spanish company, who, to add insult to injury, would be provided with a tax payer funded shipyard." BAE Systems of the UK, Italy's Fincantieri and Spain's Navantia are all tendering for the $35 billion project.